If you have teeth that are crowded, misaligned, or gapped, you don’t just have to worry about aesthetic issues. These kinds of teeth are harder to clean, and over time, this can increase the odds of contracting gum disease and tooth decay. Misaligned teeth are also more prone to cracking and wear. That’s where Invisalign comes in. Essentially, Invisalign is a cutting-edge alternative to braces. It utilizes a system of customized aligners that gradually straighten teeth. Aligners are constructed from plastic that’s comfortable, smooth, and almost invisible, and they are worn over your teeth. 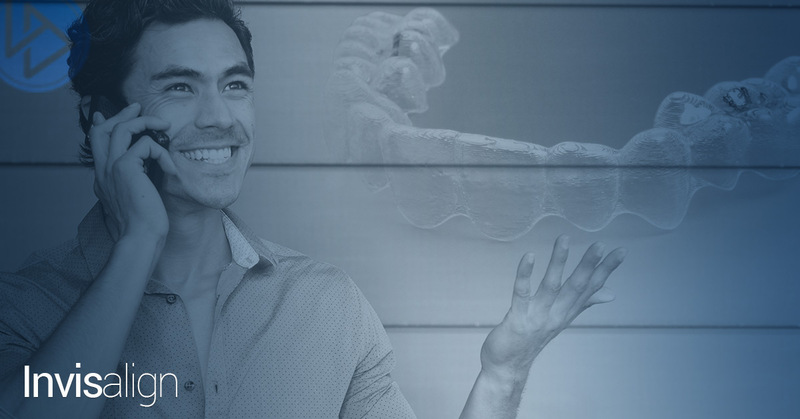 Over time, the aligners will gradually shift into a position that’s pre-planned by Dr. Finley. Instead of dealing with metal brackets and wiring that constantly breaks, you’ll place a new set of aligners over your teeth every two to four weeks. The best part? Most people won’t even know your teeth are changing. To determine if you’re a good candidate, you’ll have an appointment at our office and a 3D model of your teeth will be created. This model allows you to see what your teeth will look like before and after treatment, and it’s used to design the steps of your individualized treatment plan. During treatment, you’ll experience less discomfort and pain than those who use braces, and you’ll also have less risk of plaque buildup. For more information or to schedule a consultation with our dentist, contact us online or by phone today.